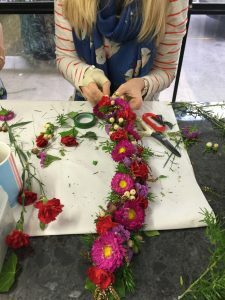 This course is the perfect introduction into floristry for those with no prior experience or those wanting to refresh their skills. The art of floristry is enduring and in this class we will explore both traditional and contemporary styles, with an emphasis on natural looking arrangements. Each lesson begins with a demonstration by the tutor, followed by a workshop-style tutorial during which students create their own arrangements under guidance. This hands-on approach allows mastery of important techniques, under the guidance of a tutor, in a relaxed and informal environment. Classes are kept small to allow quality training. 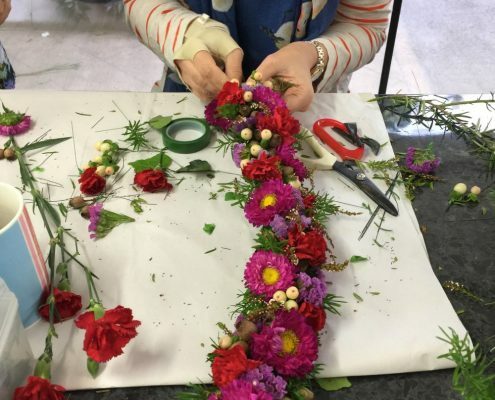 This is a private course structured for those looking to gain practical floral experience without completing a Certificate II, III and IV in Floristry. An Acknowledgement of Achievement certificate will be issued to students completing the course. Introduction to flowers. The treatment and conditioning of both flowers and foliage. Florist tools and their uses. Create your own tied posy. 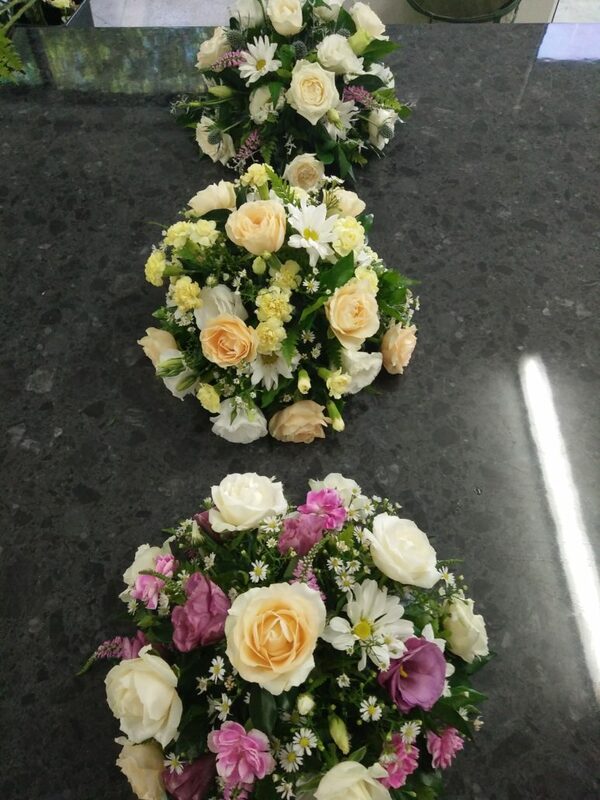 In this class you will learn how to make a table arrangement. Lots of ideas to be had here! This class is a follow on from lesson 3. 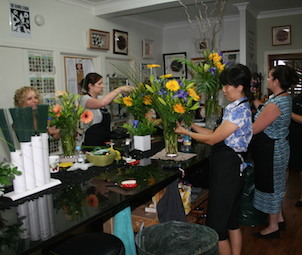 Hands on experience creating a design using interesting forms in flowers and fruit. How these can set the mood for a party or celebration. How to assemble a bouquet of flowers, techniques on wrapping. 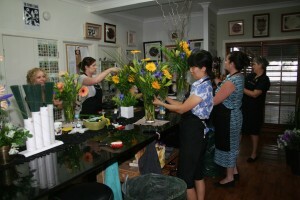 Re-cap on posies and the importance of colour in Floral Arranging. Colour theory. 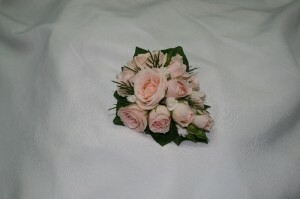 Introduction to wiring, creating your very own men’s and ladies boutonnieres/buttonholes. Learning to master the technique of wiring, creating a ladies corsage. Review and final exam. A Certificate will be issued on completing the Basic Aspects of Floristry. Would you like to attend our Introduction to Floristry course?